Beyond our universe, there is the Multiverse… and beneath the Multiverse is a nightmare realm where every fear that has ever been felt on our Earth becomes reality. Now an evil force as old as time wants to drag us down into the shadows, into the realm of never-ending terror. 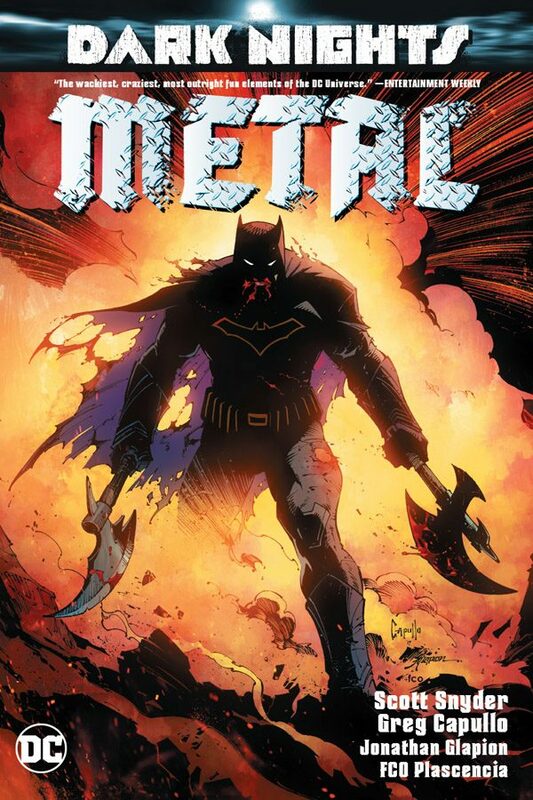 With the invasion underway and Batman trapped in the Dark Multiverse, the Justice League must undergo an impossible quest to find the mysterious metals capable of repelling the Dark Knights and their master, the fearsome Barbatos. If they fail, everything they’ve ever known will be plunged into eternal darkness. But the true horror is… what if they’re already too late?